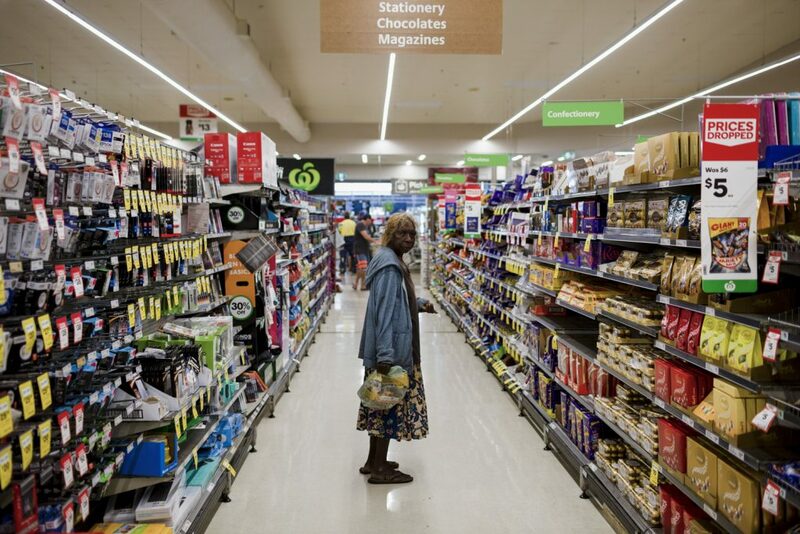 «Stolen generations» is the name referred to Australian aboriginal and Torresian Island children who are removed from their families by Australian federal governments and religious missions, according to parliamentary norms. Starting from 1869, forced expulsions continued until the end of 1970s. Aboriginal people are spiritually connected to the land and their country: the forced eradication from their native territories ruined them and broke the relationship with their Spirits. The trauma and the feeling of loss is intergenerational: it has been transmitted by the families who have passed through the stolen generation and still represents an emergency affecting the Australian society. 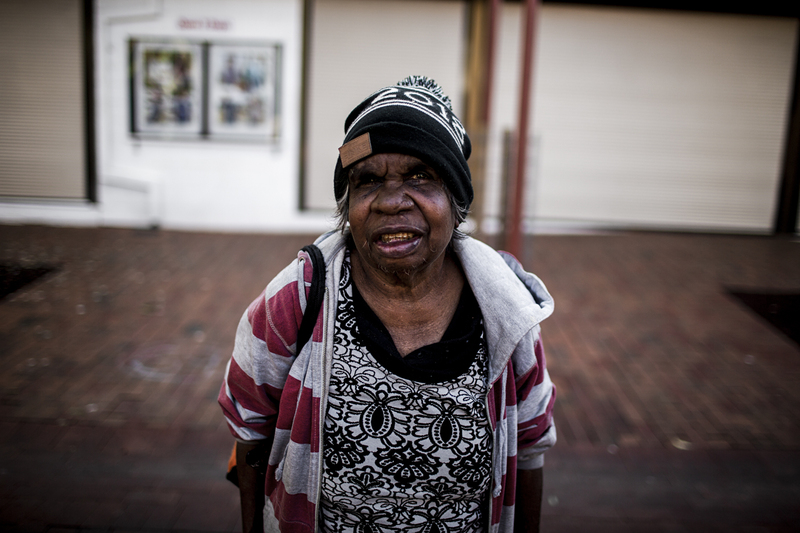 Despite the policies of reconciliation and social reintegration, several Australian aborigines roam like purging souls in Australian cities and territories, unable to accept the Western status quo. “Palya” is a Pintupi language – one of the over 800 known Aboriginal languages in Australia word – word meaning “good”. The word Palya is also a way of greeting. 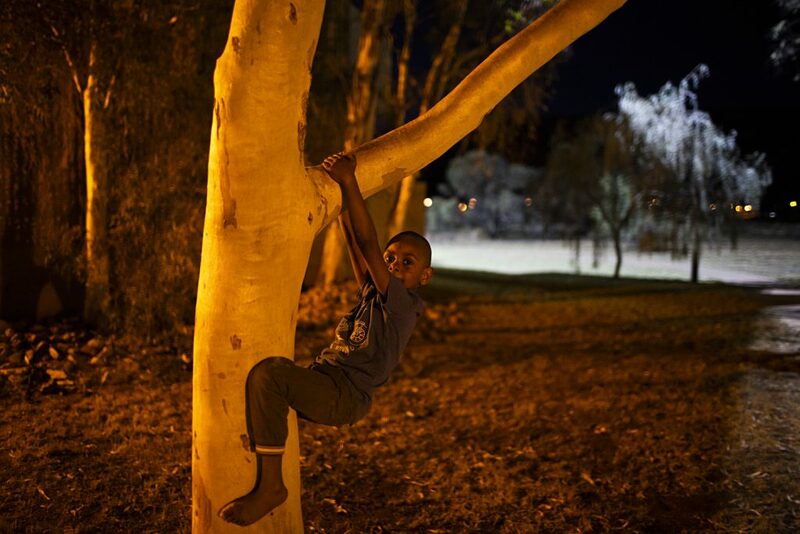 It’s a common word among Australians living in the city of Alice Springs and its suburbs, one of the areas most affected by the issue of homeless Aborigines living in precarious conditions. South Alligator river, Northern Territory. 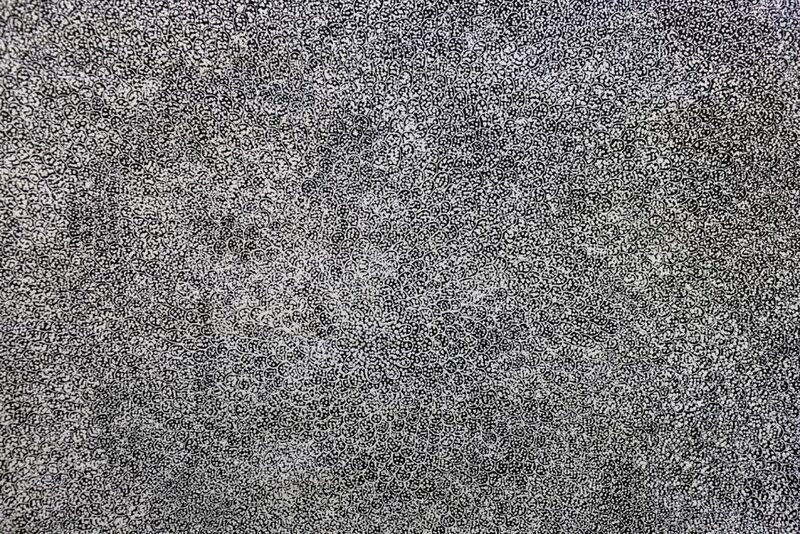 Mangabo, 28. Nature and the natural environment offers to indigenous people meaning and purpose to human life and results in improved health and wellbeing. Mangabo works as a local guide. 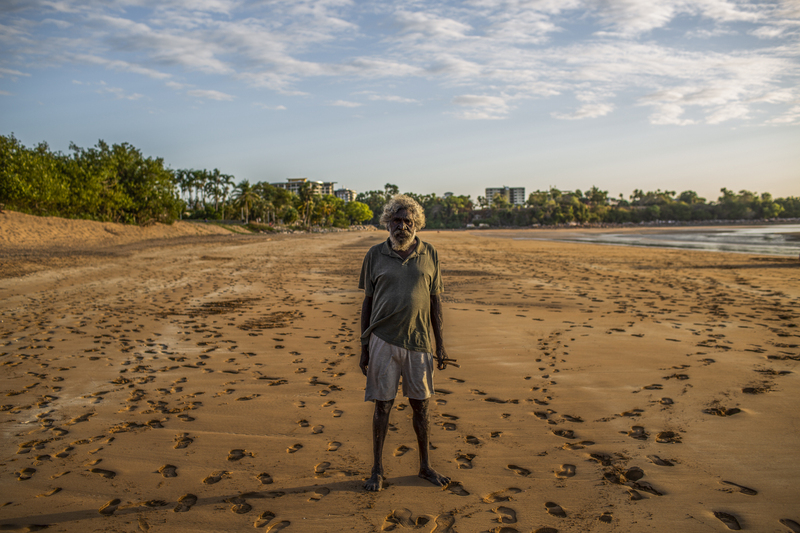 Australian longitudinal studies indicated that Indigenous people living on their traditional land, rather than in urban areas, had lower rates of mental disease, psychological disorder, diabetes, cardiovascular disease, mortality and morbidly rates. Even when Indigenous peoples have been displaced from their homelands, a strong bond to their land continues to be felt. The hypothesis of “Biophilia”, which highlights that humans are innately connected and attracted to the natural environment, may be the reason for this deep-spiritual connection. Uluṟu (Ayers Rock), Uluṟu-Kata Tjuṯa National Park. The relationship of an individual or group with land is sacred and cannot be exchanged or lost. 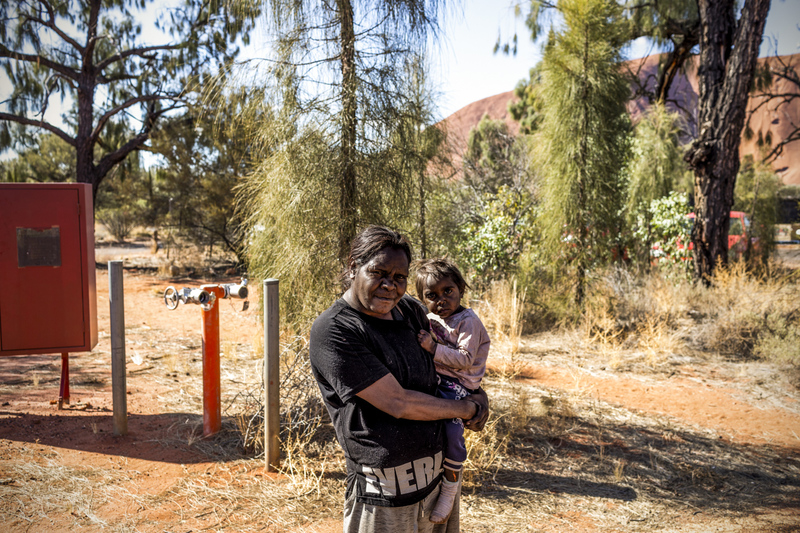 Land is vested in each member of the aboriginal groups as a sacred bequest and thereby provides the foundation for the group’s existence. Each group’s territory is physically, spiritually, economically and culturally essential for survival. Accordingly, connection with land is an integral part of the psyche of every person. As wrote by the anthropologist Maddock, «It would be as correct to speak of the land possessing men as of men possessing land». 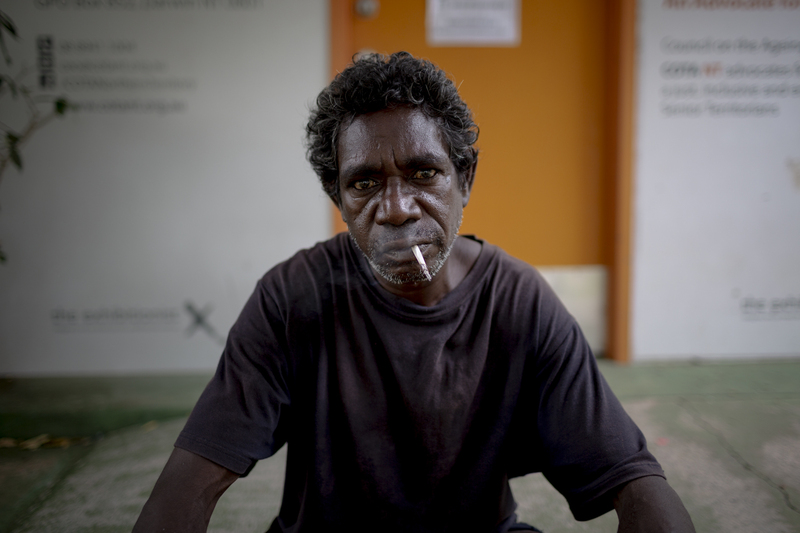 Since colonisation, Aboriginal people have been internally displaced from their country. The doctrine of “terra nullius” – a land without people – was established under British colonial government and persisted in Australian law until 1992. It served to reinforce the concept that Indigenous land was “empty”; it belonged to no one and so could rightly be claimed for Western exploitation or settlement. 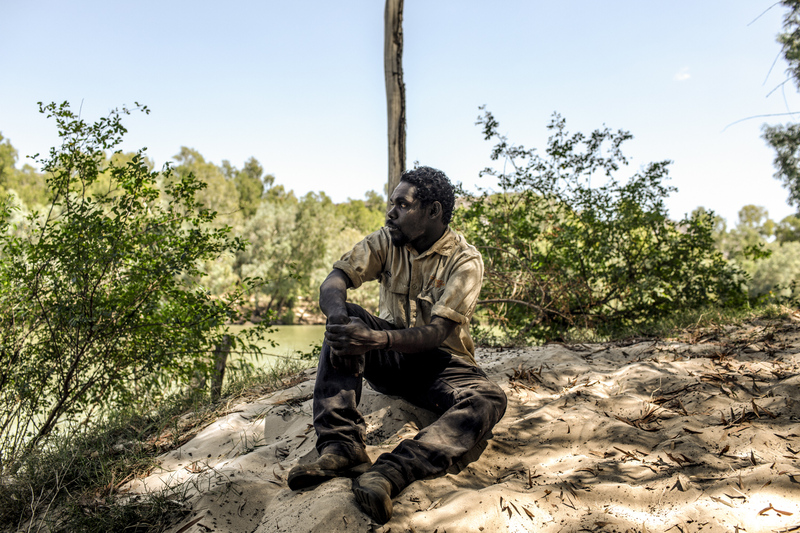 This doctrine arguably still persists in the collective Australian psyche, evidenced by social policies and government interventions which impact harmfully on Indigenous people and their connection to their land. 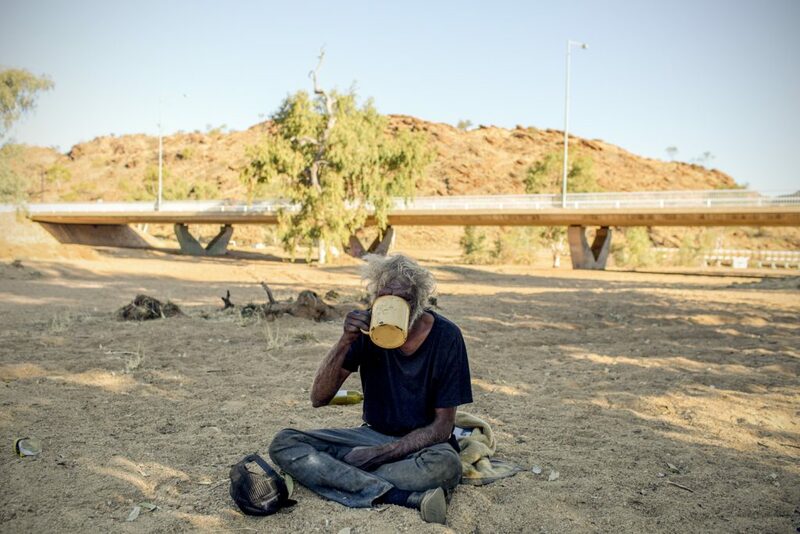 Town camps on the outskirts of Alice Springs are becoming chronically overcrowded as increasing numbers are forced out of remote communities. From the first light of the morning, several indigenous natives are moving towards the cities and wandering in the urban districts without a purpose that goes beyond the sustenance. Araluen, Alice Springs. Mcmelan, 43. 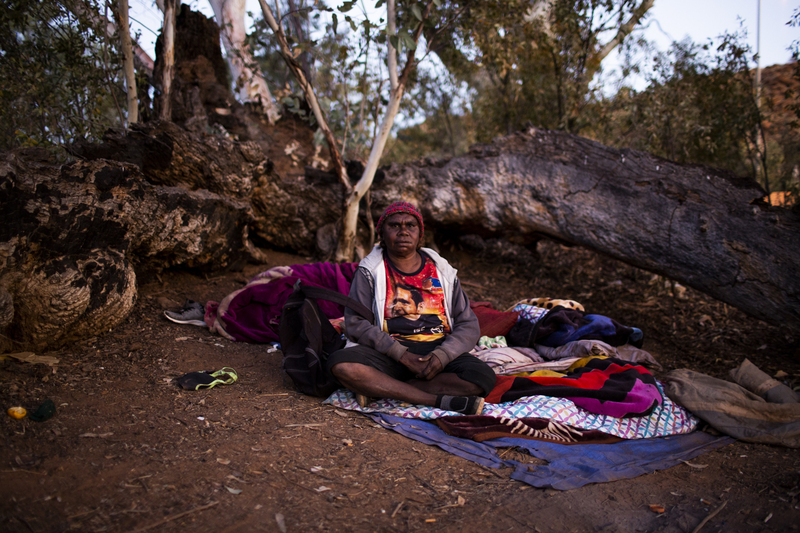 Indigenous people are like long-term refugees displaced on their own land. 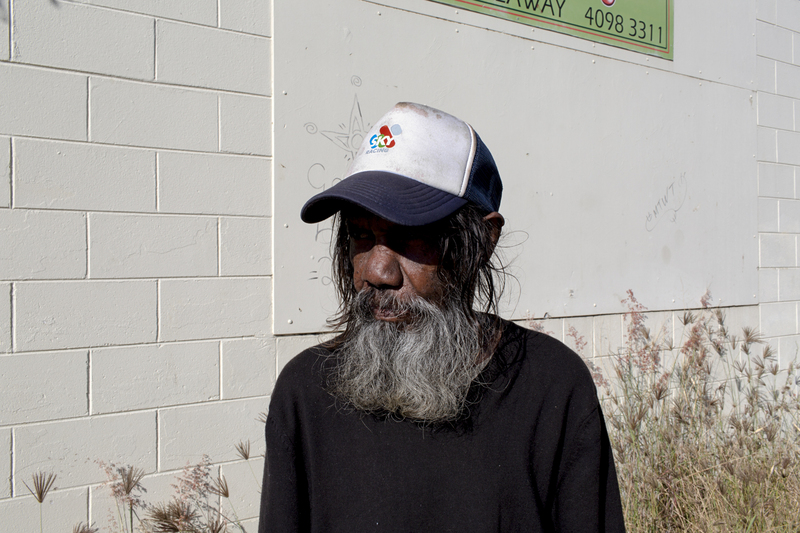 Mcmelan is a homeless aboriginal painter. 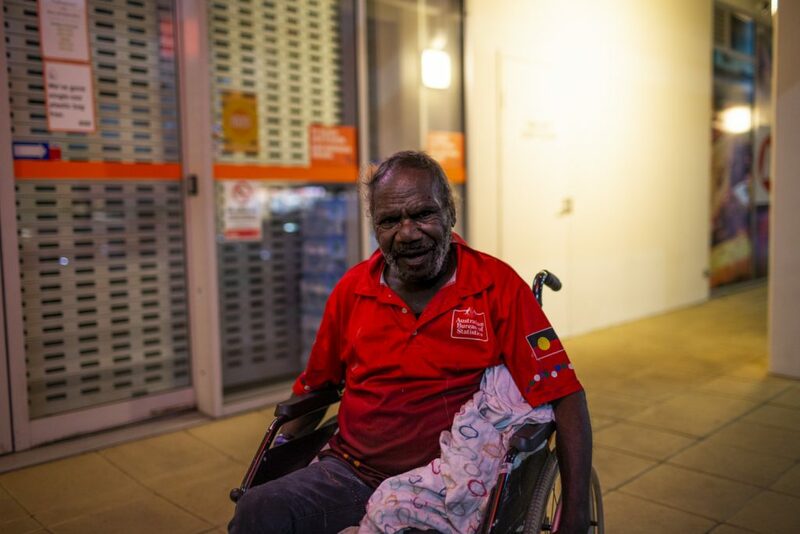 A large number of homeless and itinerant Indigenous people now live in the cities of Northern Territory. 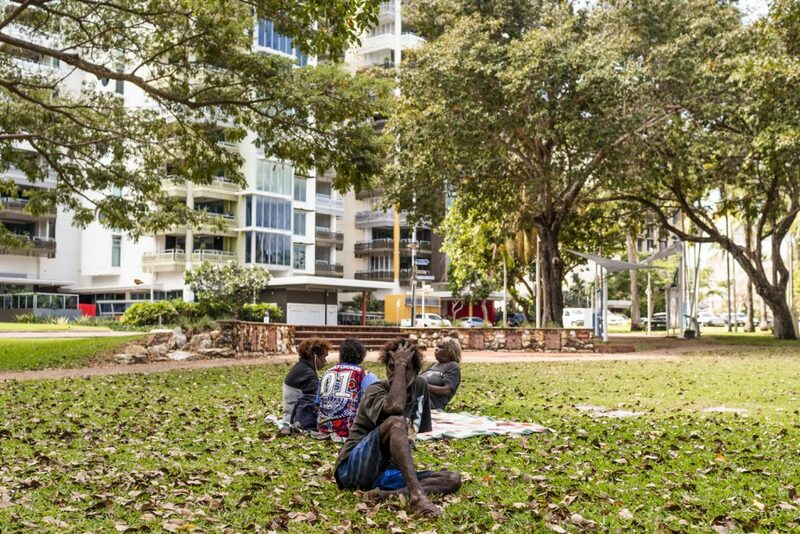 There is a prolonged waiting time for public housing. 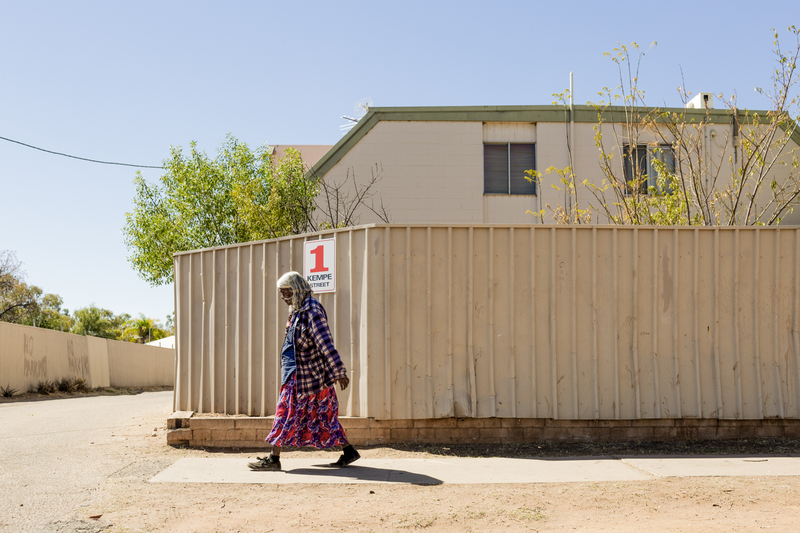 According to the Northern Territory Department of Housing, the wait is now at least five years, but many of them don’t know how to apply. Ayers Rock, Warrin, 23 works at Kulada Academy Cafè. Many support projects dedicated to the integration of indigenous people in the labor market are active throughout the territory. Many centers provide training programs for Indigenous Australians within the country’s tourism and hospitality industry. Traditional Aboriginal visual art has spiritual or symbolic meaning for the group and is a vehicle to connections with the dimension of “Dreamtime”. Dreamtime is the age prior to the creation of the world. 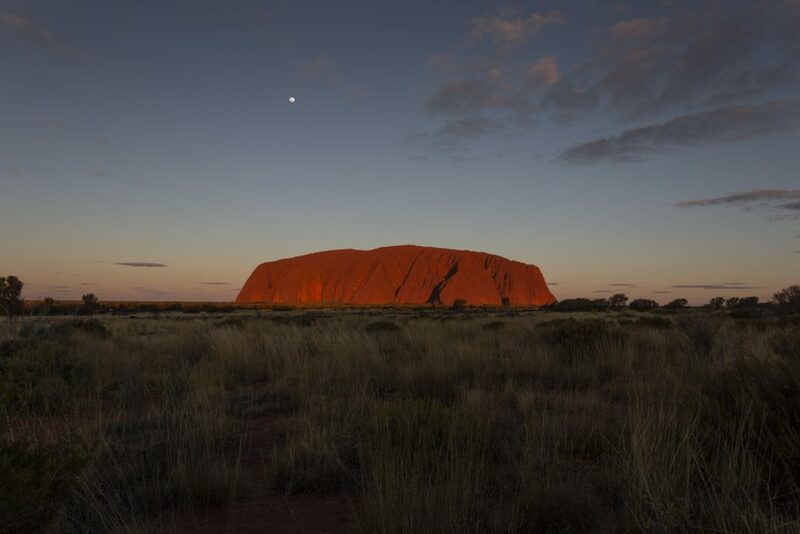 At the same time it is a common and unifying element of the numerous and different Aboriginal cultural traditions, developed in the different regions of the continent, and a mythical justification of the differences between them. The homeless of Alice Springs manifest this urgency in street corners and makeshift places, and sell their works for a few tens of dollars. 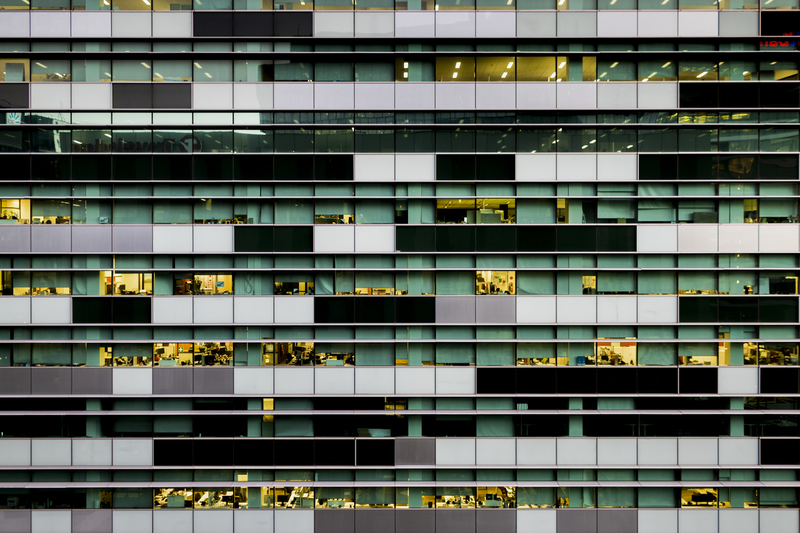 Offices in Melbourne. The inability to adapt to Western social models was one of the first causes of the outbreak of identity trauma. In the ’30s was adopted the so-called policy of biological assimilation (Assimilation Policy). With this provision of the federal government, children of mixed blood were taken away from their families by force and educated according to Western customs. 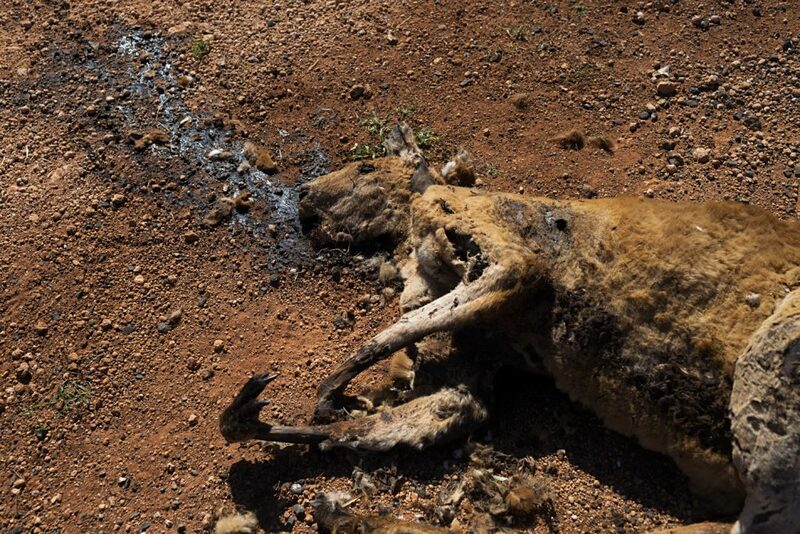 This practice continued to be implemented for a long time, even up to the 70s in some territories, leading to the coining of the well-known term “Stolen Generation”. 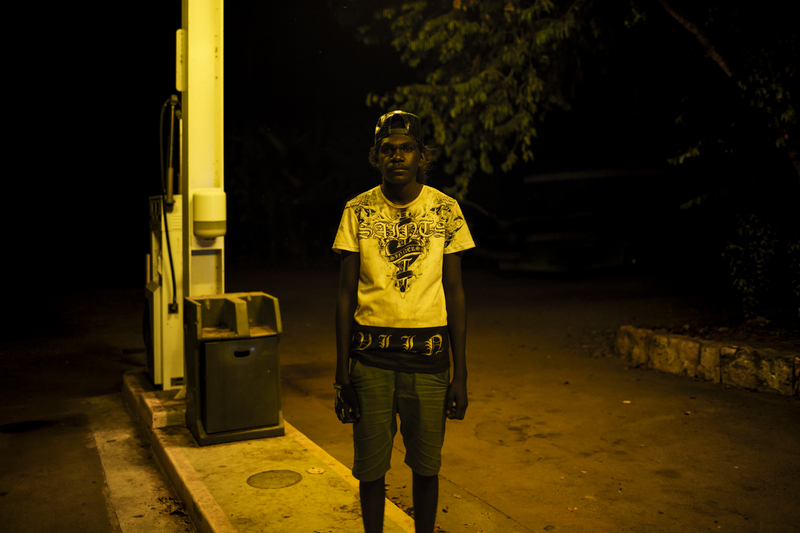 Arnhem Highway, Kakadu National Park, Jannali, 16. Jan begs money at a gasoline station in the Arnhem Hwy. 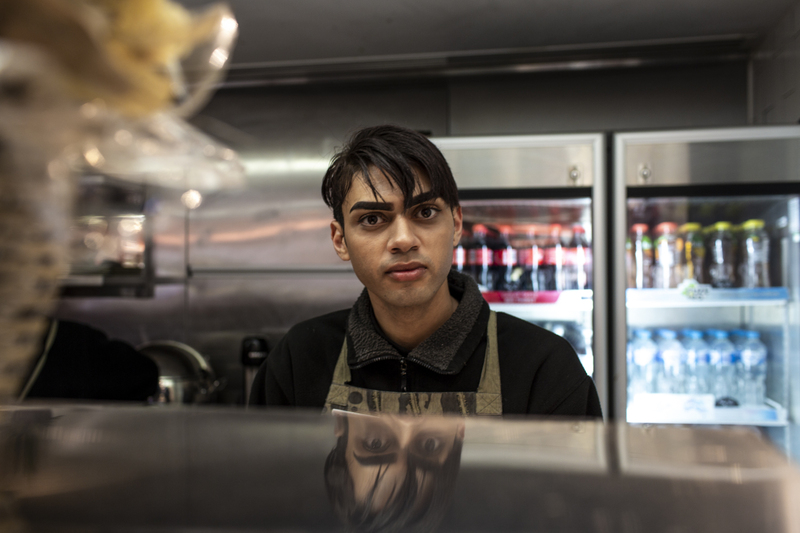 Although the government has initiated integration programs through education and community life, many teenagers are still unable to integrate and leave schools.